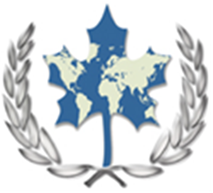 Welcome to Education Canada College, Students Career & Educational Development Centre SCEC. At ECC we train leaders and mentors in Education and Careers. We build a community of soon to be graduate Teachers, Academic Leaders and Professionals in Linguistics, Management and Health Sciences. By providing additional study material and resources and by adding online study groups we aim to create a learning environment outside of classrooms. We do this by providing services, programs, and information that promote leadership development. We encourage students to participate in our campus life both online and onsite.